Robert “Bubby” Lewis is certifiable bass ninja. 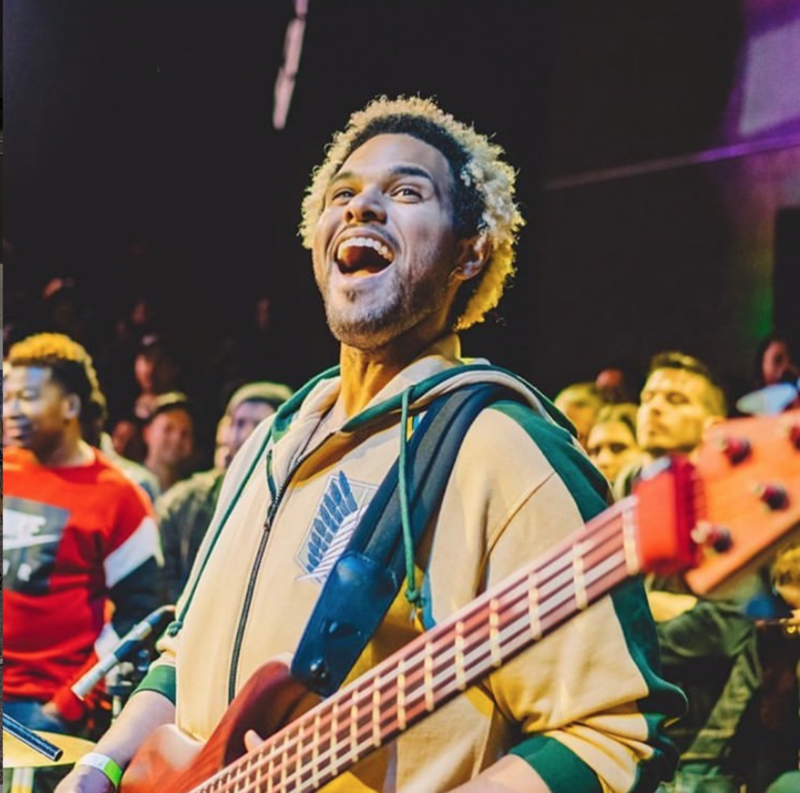 His groove is like no other, his chops are the thing of legend, and if you haven’t seen his acrobatic/yogi finger chordal stretches on his MTD 6-string basses, then you need to check out his Instagram page immediately (HERE). 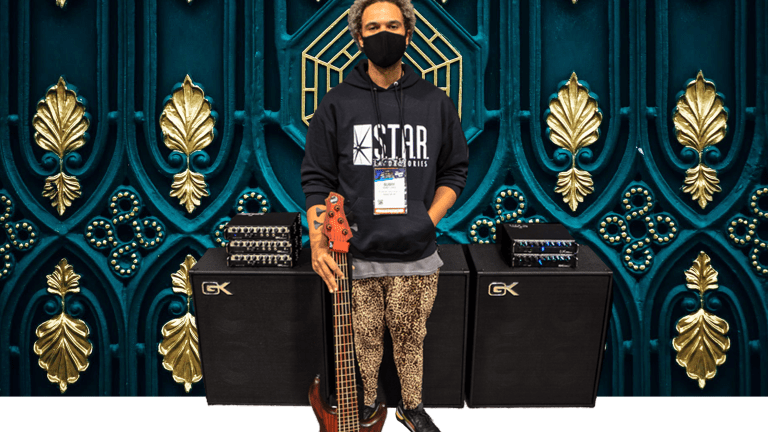 He’s been holding down bass duties for heavyweight artists such as Snoop Dogg, Dr. Dre, Lupe Fiasco, Tha Game, and Stevie Wonder for years and is frequently a mainstay in Japan for various artists in those parts. He took a quick break from his practice regime to answer our 10 Questions. 1 What was your first bass? The first bass that I played was a Cort Curbow 5-string. 2 What’s something we’d be surprised that you listen to? Lately I’ve been checking out a ton of the new banda and mariachi stuff. I’ve always loved how every culture has something traditional and special to offer musically. 3 What’s one element of your playing you’ve been working on recently? I’m working on becoming more familiar with my instrument; knowing where everything is at all times and being able to execute the things I hear in my head. 4 What was the first concert you ever attended? The first big concert I attended was John P. Kee, held at my church when I was a little kid. 5 What’s the best concert you’ve ever been to? Man, that’s tricky. Allan Holdsworth, Frank Gambale, CHON, John Legend, Big Bang, and Commissioned … I could go on all day. 6 If you could have lunch with any bass player, alive or dead, who would it be? I would want to sit down and eat with John Patitucci, Geddy Lee, Paul McCartney, Tom Kennedy, and Anthony Jackson. 7 If you could sub for a bass player in any band, who would it be? I’d sub for all the folks playing bass on the anime and video games in Japan. 8 What’s the best advice you’ve ever been given about playing bass? To have my own voice and be the artist I want to be. 9 What the most embarrassing thing that’s happened to you during a gig? Man, I took a dump on myself onstage [laughs]. It was in Australia back in 2010 with Snoop Dogg. We were playing “Gin and Juice,” and as soon as I hit a low note in the chorus … it happened. I had to ignore it and finish the show. Dude, it was only like the third song in. 10 If you weren’t a bass player, what would you be doing?